Gordon-Larsen is Professor and Vice Chair for Research in the Nutrition Department at the Gillings School of Global Public Health. She has more than 20 years of experience leading a large research program that integrates biology, behavior, and environment to understand, prevent and treat obesity and cardiometabolic disease. As PI or co-Investigator on many NIH-funded grants Gordon-Larsen has experience in working with biomarker, microbiome, metabolome, genetic, weight, diet, and environment data using multilevel modeling and pathway-based analyses, with a focus on race/ethnic disparities. She has worked with data from longitudinal cohorts for over two decades, including the National Longitudinal Study of Adolescence to Adult Health (Add Health) a cohort of middle-high school students followed into adulthood. In 2010, she received the Lilly Scientific Achievement Award from The Obesity Society. She has leadership roles in the field, such as Chair of the Kidney, Nutrition, Obesity & Diabetes NIH study section and as a member of the Nutrition Research Thought Leaders Panel which advises the NIH Nutrition Research Task Force designed to develop the NIH-Wide Strategic Plan on Nutrition Research. She is a Past-President of The Obesity Society, the he preeminent society spanning cutting edge basic science and clinical research to intervention and public policy focused on obesity. Arya M. Sharma is Professor and Chair in Obesity Research and Management at the University of Alberta as well as Medical Director of the Alberta Health Services Provincial Obesity Strategy. 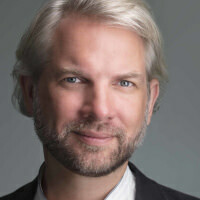 In 2005, he spearheaded the launch of the Canadian Obesity Network, which has remarkably transformed the landscape of obesity research and management in Canada. His research focuses on innovative approach to managing obese patients and includes the development of the Edmonton Obesity Staging System. Dr. Sharma has authored more than 350 publications and is regularly featured as a medical expert in national and international TV and print media. Dr. Sharma maintains a widely-read blog where he regularly posts his ideas and thoughts on obesity prevention and management, “Dr. Sharma's Obesity Notes”. Vance L. Albaugh, MD, PhD, is a surgeon-scientist investigator and senior resident in general surgery at Vanderbilt University who has completed dedicated research training in metabolism and bariatric surgery within the Section of Surgical Sciences at Vanderbilt University Medical Center ("Mechanisms of Bile Acid Signaling and Metabolism following Gastric Bypass", F32DK103474). He works with the Metabolic & Bariatric Surgery Team at Vanderbilt to better understand the metabolic and hormonal changes associated with bariatric surgery, with an emphasis on the weight loss-independent effects on insulin sensitivity/diabetes, gastrointestinal tract hormonal signaling, and resolution of obesity/diabetes co-morbidities. As a surgeon-scientist trainee, he also has interests in graduate medical education, surgical innovation, biostatistical analysis and reproducible research. Dr. Tavakkoli leads an active NIH-funded research group that studies the mechanisms of diabetes resolution after gastric bypass surgery, focusing in the role of intestinal nutrient absorption and metabolism. His group’s goals are to develop less invasive alternatives to surgery that can replicate the metabolic benefits of surgery without the risks. He has a strong interest in surgical innovation and has created ITEAM® (Innovative Technology and Engineering for Advancement of Medicine), a collaborative team of engineers, student, and physicians who focus on developing novel medical devices and solutions. He is an active member of many professional societies, a member of the Board of Governors of the American College of Surgeons, and an associate editor for the journal of Digestive Disease and Sciences and Annals of Surgical Innovation and Research, as well as on the editorial board of Journal of Gastrointestinal Surgery. Dr. John Morton is Chief of Bariatric and Minimally Invasive Surgery at Stanford University School of Medicine. He also heads the Bariatric and Minimally Invasive Surgery Fellowship and is Co-Director of the Stanford Digestive Health Center. Dr. Morton received undergraduate, Masters in Public Health, and Medical Doctor Degree from Tulane University and a Masters in Health Administration from University of Washington. He was the first surgical resident to receive a Robert Wood Johnson Clinical Scholar Fellowship in the program’s history at University of Washington and also completed an advanced laparoscopic fellowship at University of North Carolina, Chapel Hill. He served on Capitol Hill as Senator Bill Frist’s Health Policy Intern. He is a Diplomate of both the American Board of Surgery and American Board of Obesity Medicine and certified in Medical Quality by the American College of Medical Quality. He has published over 100 peer-reviewed articles and 15 book chapters with over 200 national and international presentations. 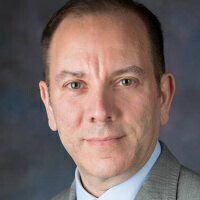 His research has focused on quality improvement and bariatric surgery. He led site FDA Pivotal Trials and has received funding from National Institutes of Health and Gordon and Betty Moore Foundation. He serves as editor of Morbid Obesity: Perioperative Management (2011 Best Medical Book Finalist, British Medical Association), The ASMBS Textbook of Bariatric Surgery, Volume 1: Bariatric Surgery and SAGES Handbook on Quality, Patient Safety and Outcomes. Furthermore, he serves on the editorial boards of Obesity Surgery, Surgery for Obesity and Related Diseases, Bariatric Times, Journal of Surgical Case Reports and World Journal of Gastroenterology. His research efforts have been recognized by the Society for Advanced Gastrointestinal Endoscopic Surgeons (SAGES) receiving the Golden Laparoscope Award as 2008 Young Investigator of the Year. As a teacher, Dr. Morton has received six teaching awards at Stanford University in 8 years including the 2008 Arthur Bloomfield Clinical Teacher of the Year and 2011 Henry J. Kaiser Teaching Award. As Director of Surgical Quality at Stanford University Medical Center from 2007-2013, Dr. Morton led efforts to improve the Department of Surgery’s University Health Consortium’s annual ranking from 24/98 to 1/98 and their Annual NSQIP mortality ranking from Average to Exemplary. Among NSQIP Surgical Champions, he was chosen to chair the monthly Surgical Champions forum for the American College of Surgeons. He has been an invited speaker on surgical quality by the American College of Surgeons, Agency for Healthcare Research and Quality, National Patient Safety Foundation, and American Society for Metabolic and Bariatric Surgery and served on the National Quality Forum’s Surgical and GI/GU Steering Committees. He has authored an inter-active online curriculum on Reducing Error in the Operating Room sponsored by Advanced Practice Solutions, Stanford and Harvard Universities. In September 2013, he was elected President-Elect of the American Society of Metabolic and Bariatric Surgery composed of over 4000 members from 52 countries. With over 2000 bariatric surgeries performed, he has been recognized as a bariatric surgery leader by Agency for Healthcare Research and Quality, RAND, American College of Surgeons, Who’s Who and America’s Top Surgeons. His clinical skills have resulted in being named Castle Connolly’s Physician of the Year for Clinical Excellence in 2012. 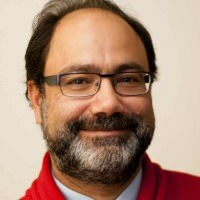 He has also served as President of the California chapter of the American Society for Metabolic and Bariatric Surgery (ASMBS) and served as the National Chairman for Access to Care and Data Dissemination for ASMBS and Member of the Committees on Public Education, Emerging Technologies, and Research. In addition, he is the national co-chair of the Metabolic and Bariatric Surgery Accreditation and Quality Improvement Program (MBSAQIP). 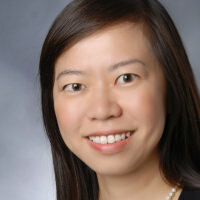 Y. Claire Wang, MD, ScD is Associate Professor of Health Policy and Management at Columbia Mailman School of Public Health. She is trained as a physician epidemiologist and a population health and decision scientist. She co-directs the Obesity Prevention Initiative, a cross-disciplinary team focusing on environmental and policy approaches to preventing obesity at the community level. She also co-directs the MPH certificate in Comparative Effectiveness and Outcomes Research. In 2015-2016, she was selected as Robert Wood Johnson Foundation health policy fellow, serving in the U.S. Department of Health and Human Services. Her current project with the National Academy of Medicine catalyzes the adoption of the Vital Signs: Core Metrics for Health and Health Care Progress framework. She obtained her medical degree from National Taiwan University and her doctorate from Harvard School of Public Health. 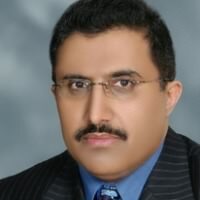 Aayed Alqahtani, MD, FRCSC, FACS, is a Saudi Arabian national who received his MBBS with Honors from King Saud University; Riyadh, Saudi Arabia in 1992. He did his residency training and obtained his fellowship (FRCSC) in general surgery at McGill University, Montreal Canada. In 2002, He was certified in general and pediatric surgery by the Royal College of Physicians & Surgeons of Canada and the American Board of General Surgery (FACS). He also had training in minimally invasive surgery (MIS) at Denver, CO, USA. He is currently Professor and Consultant of MIS and Obesity Surgery at King Saud University. He is the Director of King Saud’s University’s Obesity Chair and a prominent bariatric surgeon. He is a strong advocate of providing weight loss surgery for severely obese children and adolescents, and has published numerous studies on the safety and efficacy of this solution in young age groups. Notably, Prof. Alqahtani's recent publications demonstrated that bariatric surgery does not alter the growth of young children. He is a member of various international societies including -The International Pediatric Endoscopy Group (IPEG): Currently serving as the Vice President of the Executive Committee and Chairman of the Middle East Chapter. -The International Federation for the Surgery of Obesity and Metabolic Disorders (IFSO) -The Society of American Gastrointestinal and Endoscopic Surgeons (SAGES) -American Society for Metabolic and Bariatric Surgery (ASMBS) He has been a guest speaker for well over 100 international events and more than 200 peer-presentations at national and international meetings. He is faculty in a range of national and international training courses and workshops in MIS, robotic and bariatric surgery. He is active in numerous national and international societies, and is a member of the editorial board of leading respected scientific journals. 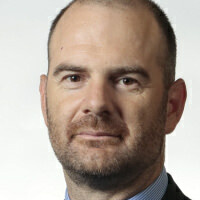 Professor Carel le Roux (MBChB, FRCP, FRCPath and a PhD) graduated from medical school in Pretoria South Africa, completed his Senior House Officer training at Barts and The London Hospital, his SpR training in metabolic medicine at the Hammersmith Hospitals and his PhD at Imperial College London. He was appointed as Senior Lecturer and later Reader at Imperial and accepted a Chair as Head of Pathology at University College Dublin in 2011. He received a President of Ireland Young Researcher Award, Clinician Scientist Award from the National Institute Health Research in the UK and a Wellcome Trust Clinical Research Fellowship amongst others. The focus of his research is primarily concerned with increased mortality and morbidity associated with obesity and its related diseases. A better mechanistic understanding of how the “gut talks to the brain” will allow safer and more effective treatments to be used in future. To this end the role of gut hormones, bile acids and changes in food preference are areas of interest. Dr. Tom Inge is a professor and chair of pediatric surgery and Children’s Hospital of Colorado. In addition to his role as division head for pediatric surgery, in 2017 he established the adolescent bariatric surgery center, integrating a surgical treatment option into existing obesity treatment program for adolescents with severe and other special forms of obesity at the of the Children’s Hospital of Colorado. Over his prior 16 years of tenure at Cincinnati Children’s Hospital, Dr. Inge gained extensive experience in advanced minimally invasive pediatric surgery, bariatric surgery, and clinical outcomes research. 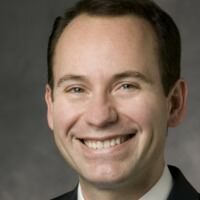 With continuous research funding from the NIH over the past decade, he has also been the principal investigator of the Teen-Longitudinal Assessment of Bariatric Surgery study (www.teen-labs.org), providing an evidence base defining the role of gastric surgery to treat adolescents with clinically severe obesity. He has authored or co-authored over 140 peer-reviewed publications and book chapters and provided over 120 invited lectures for national and international professional groups. Tom is a member of the FDA’s Gastrointestinal and Urological Devices Committee, and has served as a consultant to the NIH and the Agency for Healthcare Research and Quality. He has also served in leadership positions on numerous committees and task forces for surgical and pediatric professional organizations including ASMBS, TOS, AAP, and APSA. 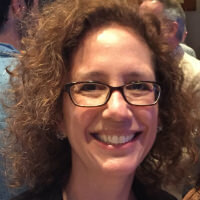 Sarah Messiah, Ph.D., MPH is a Research Associate Professor of Pediatrics and Public Health Sciences and Co-Director of the Division of Community-Based Research and Training at the Mailman Center for Child Development at the University of Miami, Miller School of Medicine. She has dedicated her entire academic career to the area of obesity prevention and treatment, primarily among children, young adults and families. She is nationally known for her research and publications directly linking childhood-onset obesity to cardiometabolic disease risk factors, even during the preschool years. She is currently funded by the National Institutes of Health, the United States Department of Agriculture and several foundations to conduct obesity prevention intervention studies among some of our nation’s most vulnerable pediatric groups. Dr. Messiah, bariatric surgeon Dr. Nestor de la Cruz-Munoz and their research team have developed and implemented a psychological measurement battery in young, ethnically diverse weight loss surgery (WLS) patients to explore the (1) psychosocial and health outcomes among national and local ethnically diverse, adolescent and adult WLS patients; and (2) ethnic group disparities in post-operative weight loss outcomes and comorbidity resolution. Dr. Jeffrey Zitsman is Professor of Surgery at Columbia University Medical Center and the Director of the Center for Adolescent Bariatric Surgery at the Morgan Stanley Children’s Hospital of New York Presbyterian. Since 2005 the Center team has evaluated hundreds of children and adolescents seeking weight loss surgery and to date, Dr. Zitsman has performed over 250 weight loss operations. He has authored over 50 published articles, editorials, and chapters in pediatric surgical topics and has delivered lectures on weight loss surgery both nationally and internationally. Dr. Zitsman and his colleagues have conducted an FDA-approved study of the safety and efficacy of laparoscopic adjustable gastric banding in over 100 adolescents followed for 5 years after surgery, and currently are evaluating the impact of laparoscopic sleeve gastrectomy in children and adolescents. 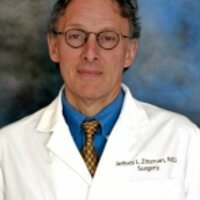 Dr. Zitsman currently serves as chairman of the Committee on Childhood Obesity of the American Pediatric Surgical Association and has participated as an invited panelist for the Federal Drug Administration’s Gastrointestinal Devices Committee. Dr. Marc Michalsky is a professor of clinical surgery and pediatrics at The Ohio State University, College of Medicine and the surgical director of the Center for Healthy Weight & Nutrition at Nationwide Children’s Hospital in Columbus, Ohio. Under Dr. Michalsky’s leadership the center’s Adolescent Bariatric Surgery Program has become both nationally and internationally recognized for its clinical excellence a well as ongoing participation in the Teen-Longitudinal Assessment of Bariatric Surgery (Teen-LABS) study; an ongoing multicenter NIH-funded observational study designed to explore the long-term safety and efficacy of adolescents undergoing bariatric surgery. In August, 2015, the bariatric program at Nationwide became the country’s first free-standing pediatric center to be awarded accreditation as part of the American College of Surgeons’ Metabolic and Bariatric Surgery Accreditation and Quality Improvement Program (MBSAQIP). On the national level, Dr. Michalsky has published numerous peer-reviewed articles and book chapters on clinical outcomes related to bariatric surgery in the adolescent population and has served on various national organization committees including the American Society of Metabolic and Bariatric Surgery (ASMBS), American Pediatric Surgical Association (APSA), American Academy of Pediatrics (AAP) and the American College of Surgeons (ACS). In addition, he currently serves as a member of the FDA Gastrointestinal and Urological Device Committee and ACS-MBSAQIP Standards and Verification Committee.